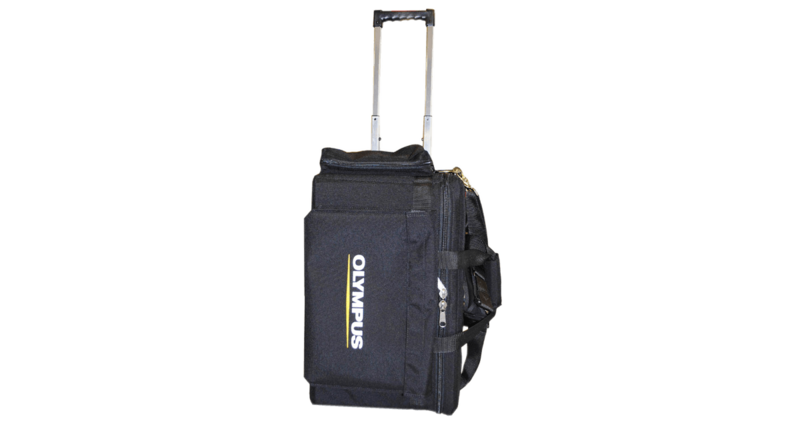 Formed in 1970, Olympus KeyMed is an international leader in the manufacture and supply of specialised medical and industrial equipment. 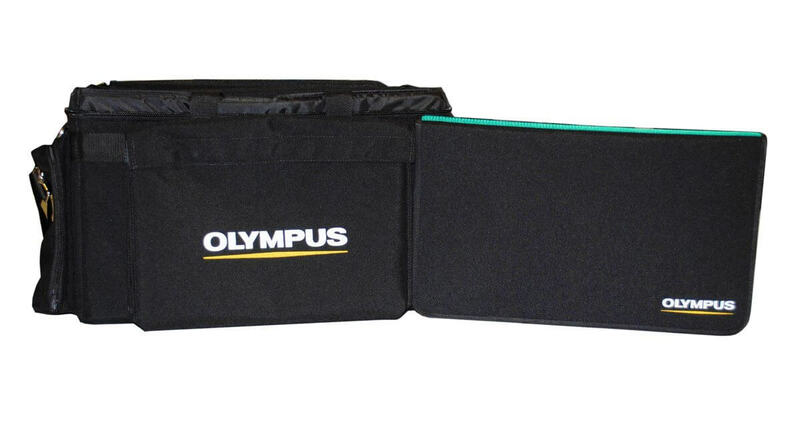 Since 1986, Olympus KeyMed has been a wholly-owned subsidiary of Olympus Corporation, Japan, and is an important part of the global Olympus network, with specific responsibility for the development and manufacture of medical equipment and industrial products for distribution world-wide. 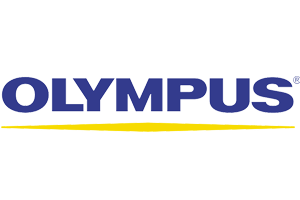 Today, the Olympus KeyMed Group employs approaching 1,000 people at its purpose-built headquarters in Southend-on-Sea, Essex, England and subsidiaries in Ireland and Plymouth, Devon. 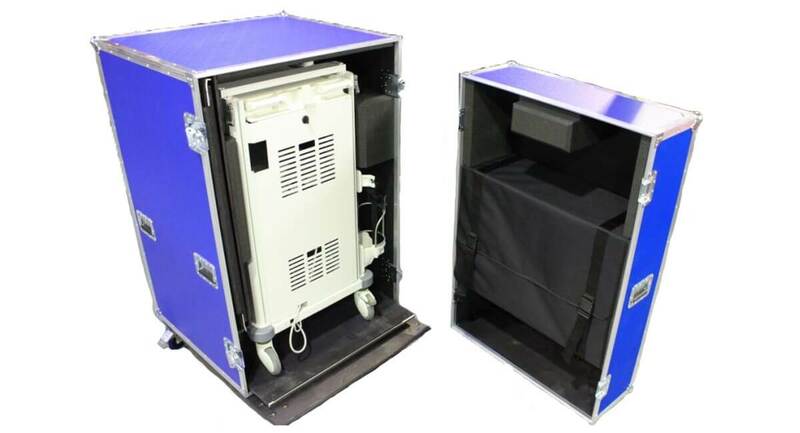 CP Cases were approached to identify, design and manufacture a solution for the secure transportation of two types of equipment: micro-surgery equipment for demonstration to ear, nose and throat (ENT) surgeons and Keymed’s WM-NP2 medical trolley for endoscope equipment. 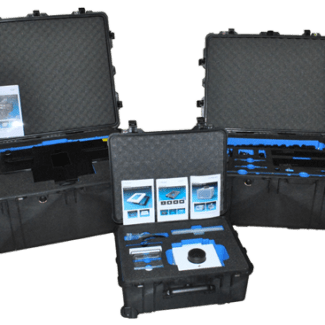 The ENT micro-surgery equipment consists of a number of small instruments, each needing to be secured and protected during transit, but also be readily identifiable when in use, whilst the endoscope trolley is a much larger, bulkier piece of kit. Two very different problems requiring two equally diverse solutions. 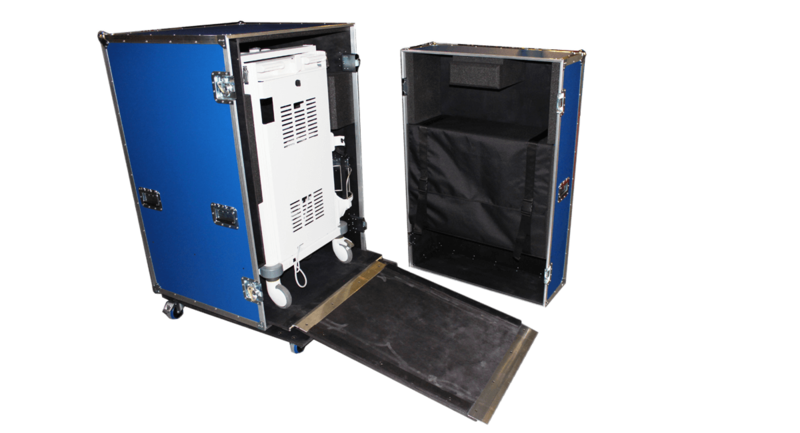 CP Cases’ designers determined that their priority was to conceive a solution where weight, ease of transportation and protection were of equal importance. 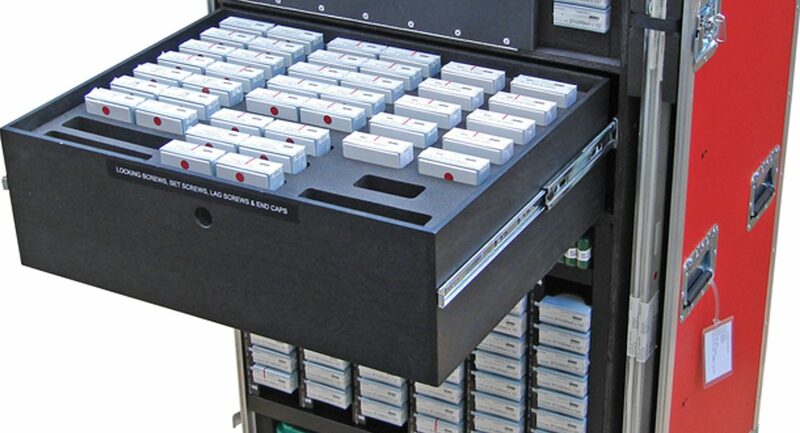 Two custom containers were designed which rose to the challenge. 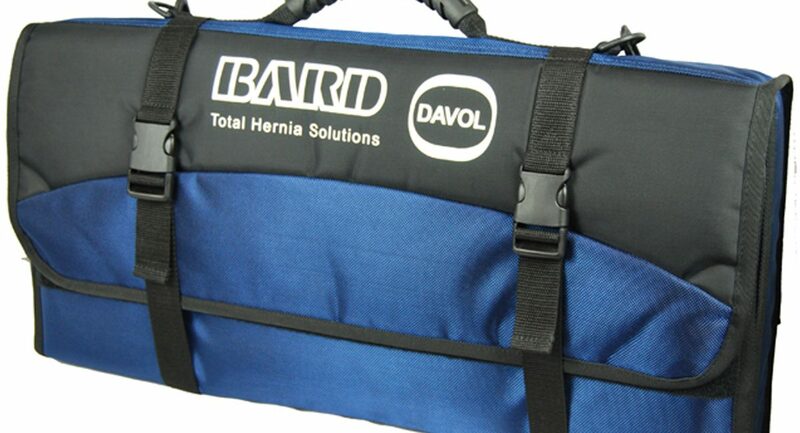 The ENT Kit Bag, manufactured from rugged textile, has high durability and abrasion resistance. 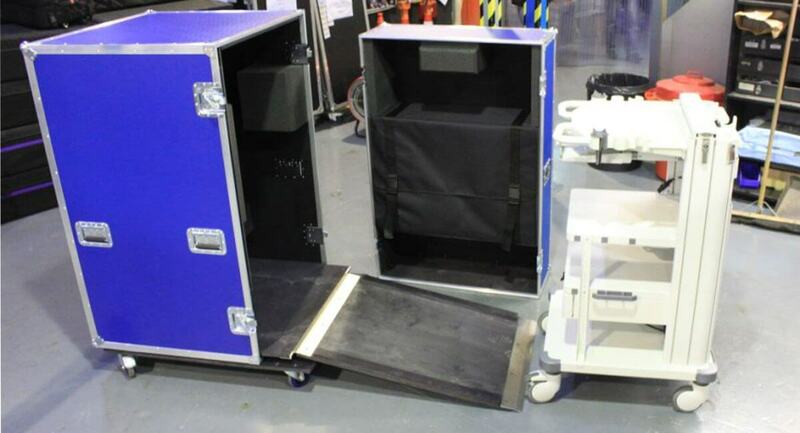 Inside, equipment is protected by a CNC machine foam lining and held securely in textile `folders’. 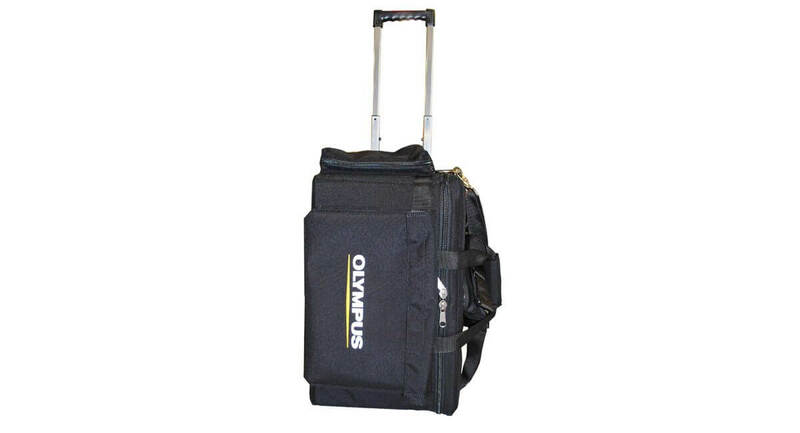 For ease of mobility the case comes with shoulder strap and optional trolley. 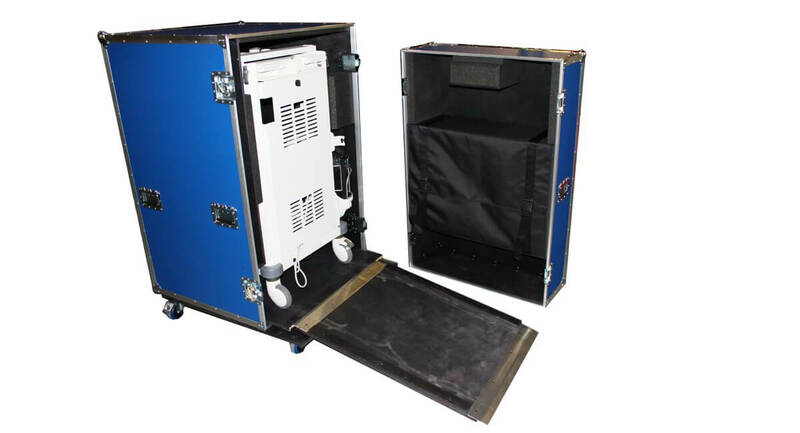 Tailored for this specific function, the case delivered to Olympus Keymed included a removable front panel for ease of access and integral ramp. 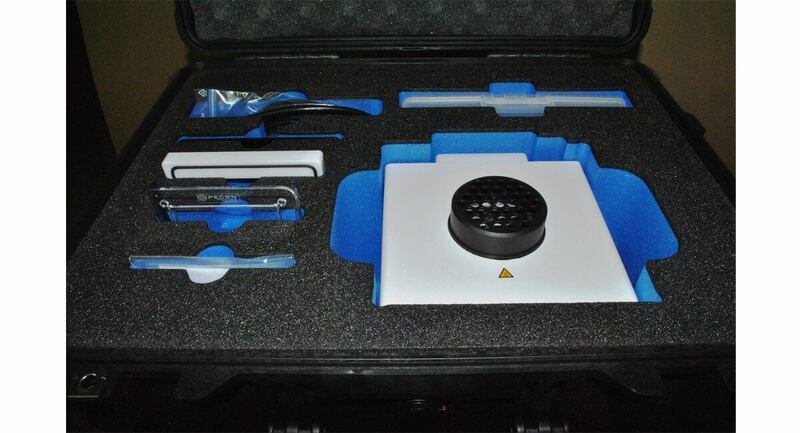 CP Cases also supplied a machined, padded cover to protect the trolley when out of the case. 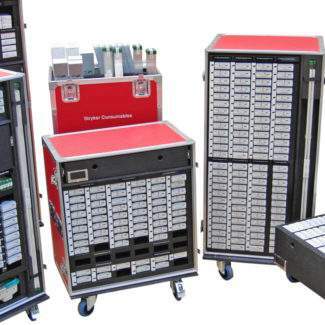 Olympus Keymed’s Technical Managers can introduce essential lifesaving equipment to key medical professionals, confident in the knowledge that it arrives in good condition, ready for demonstration, while CP Cases continues to support Olympus Keymed with its requirements for protective cases. 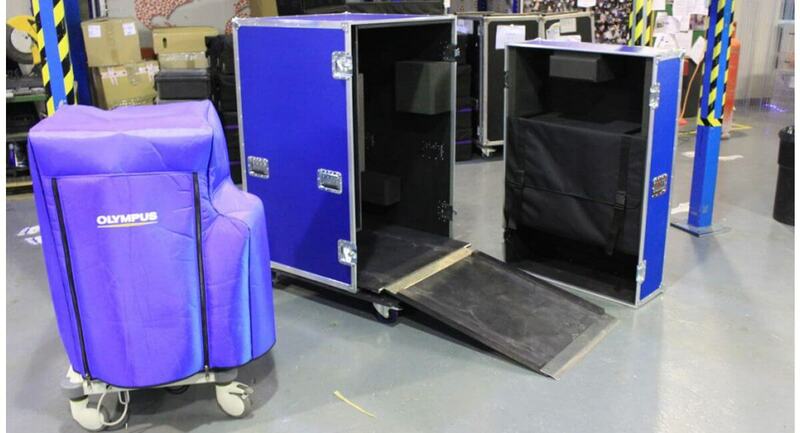 The Flight Case, with origins in the Rock n Roll touring industry, provided the solution for transportation of the WM-NP2 medical trolley.